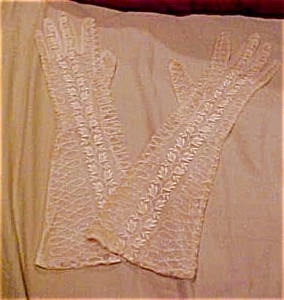 Lace gloves made by Kayser. Some yellowing and spots. Size 7.